We know Apple is releasing macOS Sierra, iOS 10, watchOS 3, tvOS 10, and new iPhones this fall, but there could be more in store, too. 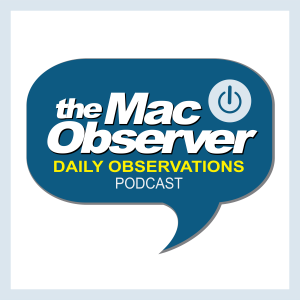 John Martellaro joins Jeff Gamet to discuss what announcements Apple may be planning, and how the announcements will be managed. They also talk about NASA releasing the Apollo 11 source code and how important Margaret Hamilton was to the space program. The best fabrics and great design make Mack Weldon the perfect choice for your t-shirts, underwear, socks, and more. Use discount code TDO for 20% off your order at the Mack Weldon website. Presumably no one thinks Apple will introduce a updated/new Mac Pro or Mac Mini in the Fall.